The corruption of the Incantors may have been cleansed in the southern deserts, but Andrew’s work is just beginning. The city of Ardhal has fallen under the growing shadow of the Incantors and it is only a matter of time before that ancient scourge spreads throughout Salia. Andrew has his hands full already, but now the surviving dragons of the far north have learned of his existence and not all of them are willing to return to the alliances of old. 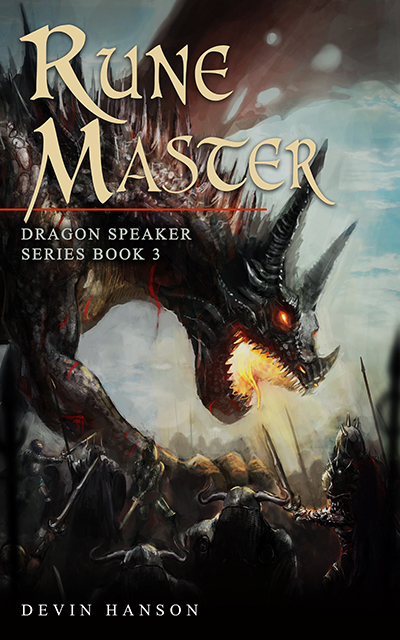 Rune Master is the third in the Dragon Speaker series. Available on Amazon Kindle and Kindle Unlimited.